Bermondsey Priory, 1114: A young chaplain succumbs to the temptations of the flesh and suffers a gruesome punishment. From that moment the monastery is cursed and over the next 500 years, murder and treachery abound inside its hallowed walls. 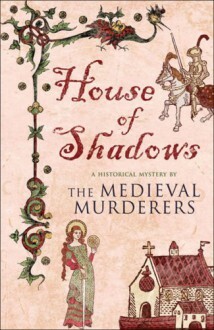 A beautiful young bride found dead two days before her wedding; a ghostly figure warns of impending doom; there is a plot to depose King Edward II; all the while mad monks and errant priests abound. Even the poet Chaucer finds himself drawn into the dark deeds and violent death which pervade this unhappy place.